ADDIS ABABA. 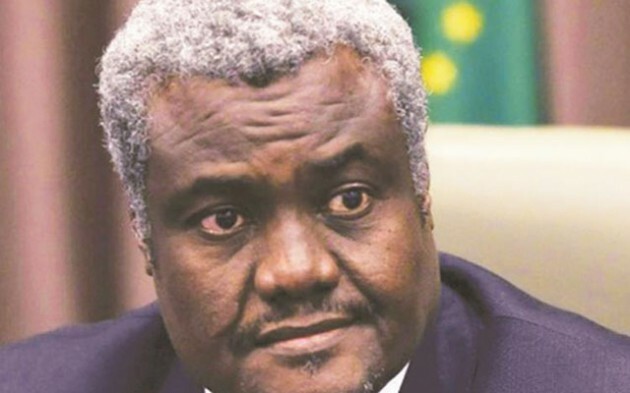 -The chairperson of the African Union (AU) Commission, Moussa Faki Mahamat, has learned with dismay of reports on the auctioning of African migrants in Libya as slaves, according to an AU statement issued at the weekend. The chairperson “strongly condemns these despicable acts which are at odds with the ideals of the founding fathers of our organisation and relevant African and international instruments, including the African Charter on Human and People’s Rights”. The chairperson called for an immediate end to these practices and other criminal acts of human trafficking. He urged swift action to identify all perpetrators and accomplices, with a view to bringing them to justice. In this regard, he welcomed the announcement by the Libyan authorities of an investigation into these criminal acts and looks forward to a credible outcome. He further urged the Libyan authorities to do everything in their power to improve the conditions of African migrants on their territory. The chairperson expressed the AU’s determination to spare no effort to help bring the acts to an end and ensure the respect of the most basic human rights. In this regard, he requests the African Commission on Human and People’s Rights to urgently launch an investigation in support of the measures announced by the Libyan authorities and to submit its conclusions as soon as possible to ensure timely follow-up and action. The statement revealed that the chairperson of the AU Commission intended to quickly dispatch an envoy to Libya for consultations with the government of Libya and other stakeholders, to agree on practical steps in support of efforts to address the plight of the African migrants in Libya. – Xinhua.